A Team GB Olympic swimmer has accomplished his sporting dreams whilst studying a degree in BSc (Hons) Psychology on our Sporting Excellence scholarship programme. Our Sporting Excellence scholars have access to strength and conditioning expertise, nutritional advice and health checks to support their sporting development; helping them to advance their knowledge and transform their lives. Now the University has formed a new partnership with chartered sports psychologist, Jonathan Rhodes, to prepare elite athletes mentally as they follow their journey to success. From time management and academic advice to positive mind-set preparation, our Sporting Excellence scholars now have a solid support system to aid them in balancing a hectic schedule of training, competitions and academic study. The first student to access this support is Antony James, Olympic swimmer and BSc (Hons) Psychology student, who successfully managed his sport and study commitments to achieve his dreams thanks to the expert help of Jonathan Rhodes. This psychological support, along with vital dissertation and exam help, made a real difference to Antony’s preparation and training for the 2012 London Olympics. In addition to the support delivered by Jon Rhodes, Antony’s course tutor was a key contributor to his success. 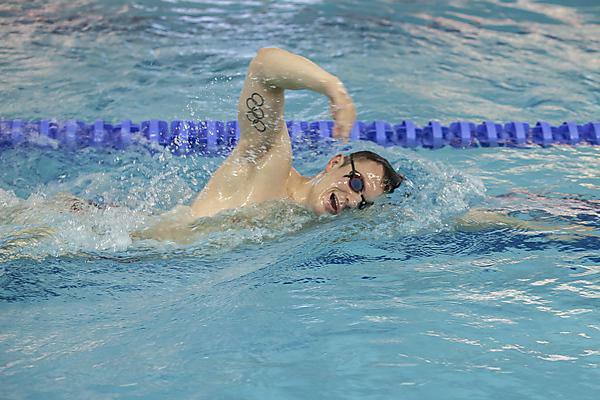 With full support from the Sporting Excellence Scholarship Team and his course tutor’s full confidence, the sporting star was given a unique opportunity to split his degree over five years, enabling him to continue his swimming training full time. Antony’s dissertation looked into the psychological aspects that impact and affect swimming performance at an Olympic level, by interviewing existing swimming scholars and Plymouth Leander Olympians. Jon then advised Antony on possible directions to take with the research, and show methods which he could use to analyse the data.